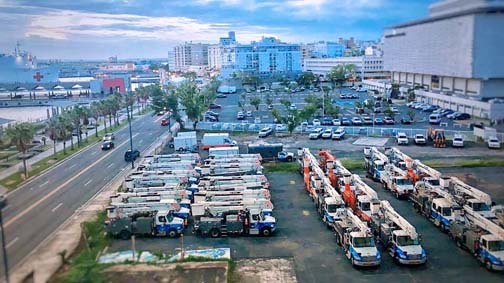 The Institute for Energy Economics and Financial Analysis and the Institute for Competitiveness and Sustainable Economics for Puerto Rico called for the Puerto Rico Energy Commission and the federal Fiscal Oversight and Management Board of Puerto Rico to take control of the Puerto Rico Electric Power Authority. “The ongoing governance crisis at PREPA, and now the denial by a judge of the appointment of a PREPA chief transformation officer, meant that the energy commission and the fiscal board must immediately combine efforts to restore electricity to the island,” the institutes said in a joint statement noting that more than half of the residents of the storm-stricken island remain without electricity almost two months after Hurricane María. The statement from the two institutes follows Tuesday’s refusal by a federal judge to grant a motion by the Oversight Board to appoint an outside “chief transformation officer” to oversee PREPA. The Board, created by Congress under the statute known as PROMESA (the Puerto Rico Oversight, Management, and Economic Stability Act), had proposed appointing U.S. Air Force Colonel Noel Zamot, who has worked with the board on other matters, to run PREPA. Judge Laura Taylor Swain blocked the appointment, saying the board did not have the authority to put Zamot in charge. “The well-known scandal around PREPA’s contract with Whitefish Energy is only the most recent example of the agency’s poor contracting policies and procedures,” said Institute Director of Finance Tom Sanzillo, who credits the Puerto Rico Energy Commission for exposing many of PREPA’s common problems. Sanzillo and Torres noted that in September, PREPA submitted a motion to the U.S. District Court in Puerto Rico to reduce the commission’s powers. PREPA argued that the commission had usurped its authority as well as that of the Oversight Board. On Nov. 3, the commission submitted a motion to the court proposing a resolution of any potential jurisdictional overlap between the commission and the Oversight Board. “More than ever, lack of coordination between the two institutions will delay the restoration of power and the re-design of the Puerto Rico electrical system,” Torres said. Meanwhile, Sanzillo noted the “No. 1 priority” for the Oversight Board and the Puerto Rico Energy Commission is the restoration of electricity on the island. Hey Buddy!, I found this information for you: "Energy execs urge PR Energy Commission, OBoard to ‘take over’ PREPA". Here is the website link: https://newsismybusiness.com/energy-commission-oboard/. Thank you.